Before digital music you’d select your evening’s musical entertainment based on your mood, selecting an appropriate album or maybe even a mixtape. 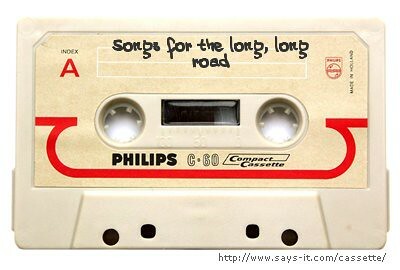 If you’re unfamiliar with what a mixtape is ask a grown-up, and by the way you’re making me feel old. 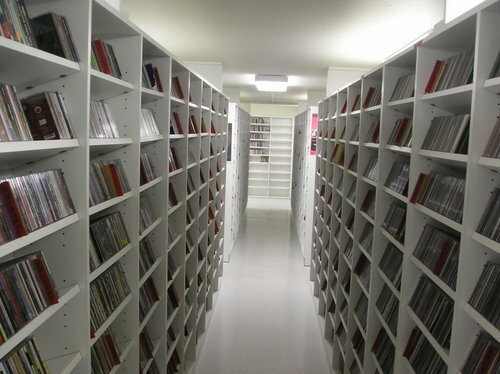 Anyway, for the last decade we’ve been increasingly able to digitally store our hundreds of albums in one place and play them at our convenience without once having to get up and change the disc though up until very recently the devices that could store literally everything you have were expensive. Now though things have changed, personally I have my entire 6,300 track collection taking up one-third of my Google Play Music store even if it did take a couple of weeks, on-and-off to upload. Modern MP3 players now have decent, large displays, and of course phones and tablets have music player apps so you can idly scroll though lists of albums and tracks and then feel the unbridled joy of seeing a track you haven’t heard for ages and instantly enjoying it. Having your entire collection there at your fingertips can rekindle your love of the music and bring back, Proust-like, memories of summers listening endlessly to a favourite album. Then, if you’re brave, there’s the ability to not just shuffle tracks on an album or a playlist or the limited selection on a device, a selection carefully, er, selected for a particular mood or whatever stage in your life you’re at, but your entire musical history. It has been said that MP3 players have a mystical ability to choose appropriate music for your situation, my car stereo has done that to me many times – played a song that has reminded me of lost love or given me hope when I’m down, and when it has thousands of tracks, all personal to you, to choose from anything can happen. You sit down to listen to some tunes, your device plays some great songs, many you’d forgotten about, you feel fantastic. Then it happens, the first bars of a song play and before you can hit “skip” you’ve got tears pouring down your face as the song so intimately linked to a person or event, to feelings of loss and grief come flooding back. I’ll be honest it happens to me, “My Immortal” by Evanescence does it to me every time. Sometimes though even this can be cathartic, reminding you of the good times too. I have an old Philips stereo, it sounds lovely with crisp, crackle-free audio, it used to be my alarm clock and saw daily use playing CDs but has languished in my living room, underused, being merely decorative for many years. It has a cassette deck along with the CD player, it doesn’t have an iPod dock or even a 3.5mm input jack. First the cassettes gave way to CDs and now MP3s are the norm, perhaps it could have been the end for my humble stereo. But no, I was not prepared to give up its audio abilities that easily. Now it is an amplifier, with some adaptors and a bluetooth receiver attached to its rear it has a new lease of life. I have just about finished uploading my 6,300 track music library to Google Play Music and as such can play any of my collection via my Nexus 7 tablet over bluetooth onto my venerable old stereo. The old Philips now effectively has a touchscreen remote interface and access to six-thousand searchable tracks, all of which sound as good (to me at least) as they did when I first listened to them on that same stereo on the days I bought the CDs. I am still awed by what modern technology can achieve with these powerful mobile devices and cloud services. Especially when I can rope in my good old tech too. This could make me feel old but I’m not going to let it. This year the CD celebrates its thirtieth birthday. I was seven when I watched the famous demonstration on Tomorrow’s World of how you could spread jam on it (clean it off) and it would still play. They didn’t mention that it you cleaned it with anything more scratchy than a swan’s tail feather and then played it in a less than perfect CD player it would skip more than, oh I don’t know, a bush kangaroo. 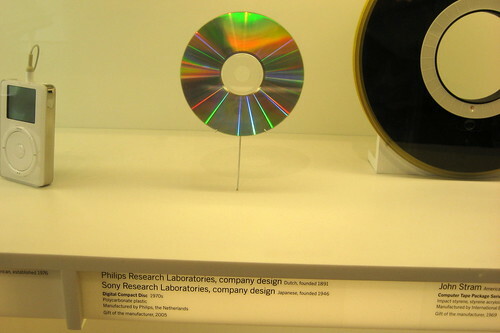 But in those early days Sony and Philips’ shiny new disc and player were the future of high quality, high fidelity digital music in a time where computers still had mono screens and games consoles still had faux-mahogany cases. 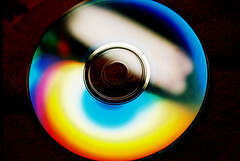 Today MP3 downloads and streaming services like Spotify are said to sound the death knell for CDs, like those same hypnotic discs were meant to do for vinyl. I still buy most of my music on CD because I like the experience of getting a new album, opening the case, putting it in the CD player and listening to it all the way through while looking at the booklet. Once it’s on the computer it’s all to easy to skip tracks and shuffle it with all the other albums. But then I’m the same with books. Sales may fall but I’m sure there will be plenty of people like me willing to buy them for some time still. So happy thirtieth you little iridescent disc you, many happy returns, or should that be repeats.